* Let’s not forget a dash of Luck! There are so many things that actors need to acquire and learn in their careers in order to be successful. 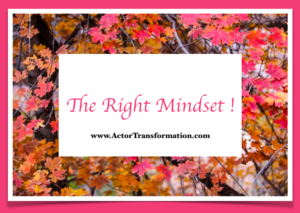 However, there is not one singular trait that is more important in an actor’s career than the right MINDSET. The right mindset wins out every time, hands down. And this is not just about “thinking positive” or “the power of intention”, it is so much more. Actors need to truly take control of their own careers. Sounds simple, right? Perhaps even a bit of a cliché? Sometimes we hear something so often that we become deaf to its truth. Nobody will ever care as much about your career as you do. Yet actors tend to wait for others to tell them which headshots to choose, which projects to say yes to, even who they are supposed to be. And this is not just for beginners. There are many seasoned professionals that have made poor career decisions because of the advice of others. What are you doing with your 90% of the work? A great question to ask is “Am I really doing everything I can do for my career?” Please take a second and ponder that question before you jump to an answer. 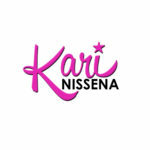 ~ Most beginning actors get a headshot, an acting class, and maybe an agent. Then they are pretty much done. ~ Intermediate actors? Let’s add a SAG card, a Demo reel, Events, maybe Postcards, More Classes & More Headshots … Then THEY are pretty much done. ~ Advanced actors often then get a “better” Agent, perhaps hire a Publicist, and maybe get on some Red Carpets. Then THEY are pretty much done. But the true geniuses of Hollywood are the ones who really take control on a consistent basis. The ones who create content. Understand the business. Understand that things go through waves. Know that bad auditions and bad days will happen. The ones who keep reinventing their careers over and over again. YOU have to make your career happen for you. So stay proactive. Think outside the box. Take action. There are always more exciting things to do. Every day make sure you do at least one thing out of your comfort zone. And the most important part of the having the right mindset? ENJOY THE JOURNEY!